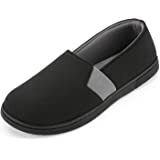 • CLOUD-LIKE CUSHIONING: Dearfoams slippers are designed with a multi-density cushioned insole with memory foam, bringing you instant comfort and relaxation. 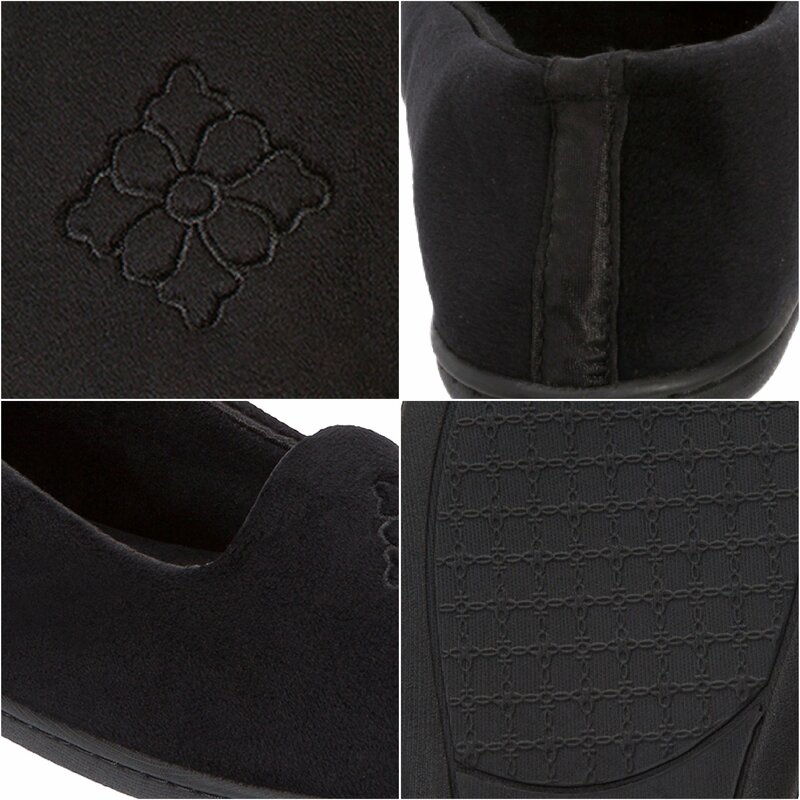 • EMBROIDERED DESIGN: A subtle embroidered design at the toe adds a touch of sophistication. 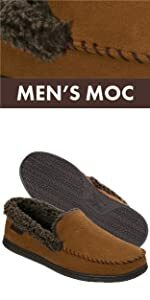 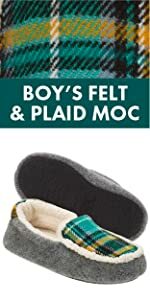 • INDOOR/OUTDOOR: With a rubber sole, our velour slippers can be worn indoors while lounging around the house or outdoors to grab the mail or walk the dog. Style and comfort come together in Dearfoams velour closed-back slipper. 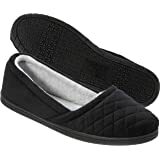 With a loafer-like design and embroidered detailing, you might forget you’re wearing slippers! 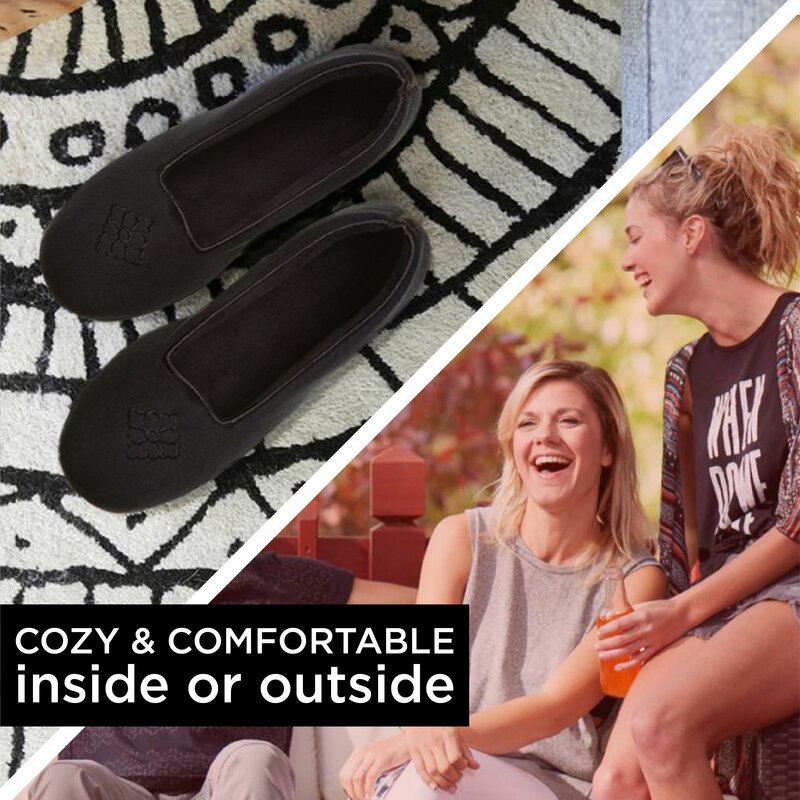 Dearfoams slippers are designed with a multi-density cushioned insole with memory foam, bringing you instant comfort and relaxation. 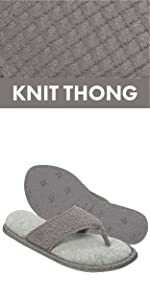 A closed back creates a secure feel around the foot, while durable treads give the slipper a solid grip. 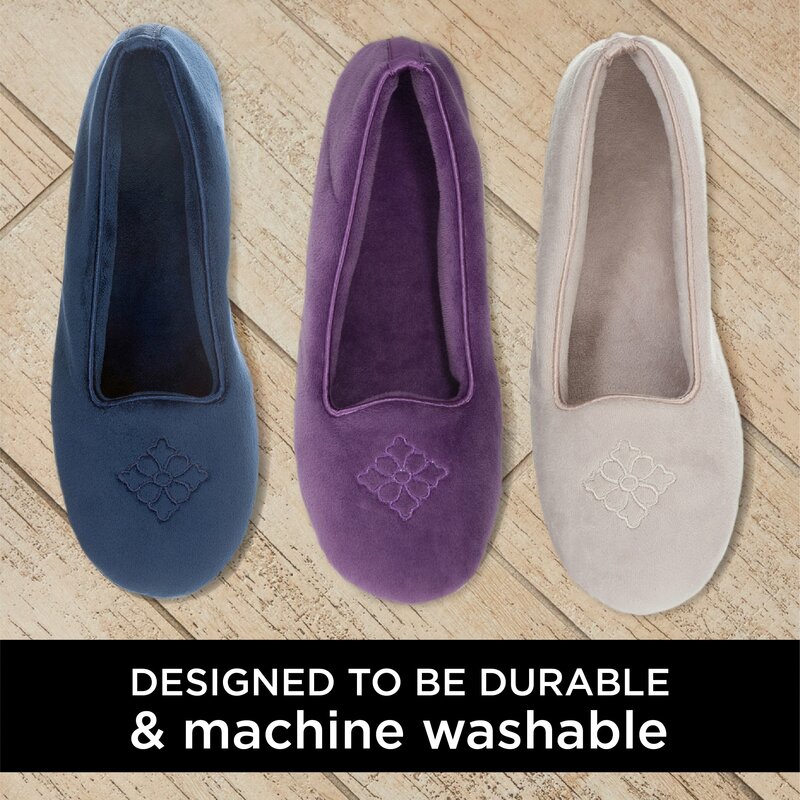 Plus, a rubber sole allows our velour slippers to be worn indoors while lounging around the house or outdoors to grab the mail or walk the dog. 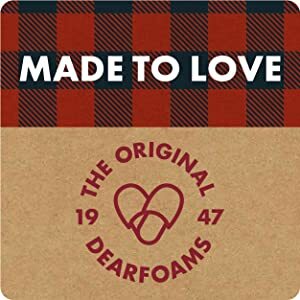 Dearfoams is known for soft, warm fabrics and memory foam cushioning. 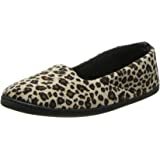 A mix of timeless looks and fresh, fashion forward designs means there's a slipper to fit every style. 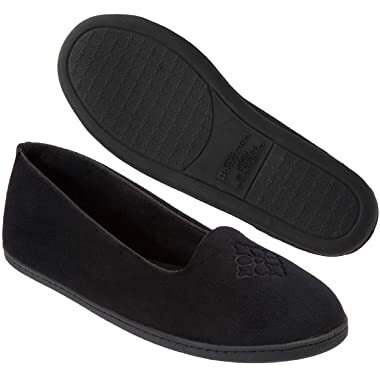 Superior materials and innovative technologies ensure a level of fit and durability that only Dearfoams can deliver. 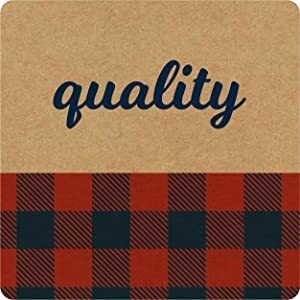 We're a small company with a lot of heart and a long history. 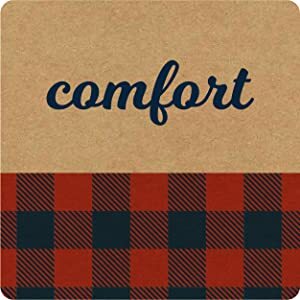 In 1947, our founder turned her vision into reality when she brought the cloudlike comfort of foam to fashionable slippers. 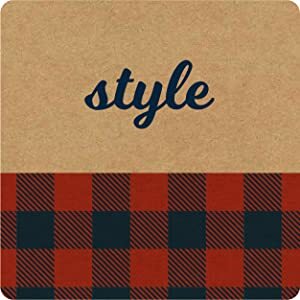 Many years later, our dedicated design team continues to create incredibly comfortable products that people love to wear.